Google has confirmed to VentureBeat that Android will be dropping the use of Java APIs in Android N. To avoid a copyright lawsuit, Google's open source OS will turn to OpenJDK. 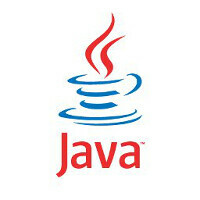 The latter is an open source version of the Java Development Kit offered by Oracle. There is a long legal history dating back to 2010, when Oracle first sued Google for using Java's APIs without permission. Google argued that APIs could not earn copyright protection considering their place in the development of software. In 2012, a jury ruled in favor of Google, although two-years later the decision was partially reversed. This past June, the Supreme Court declined to hear the case and remanded it back to a lower court. If the final decision is in favor of Oracle, Google might be responsible for all of the Android powered units sold prior to Android N. A victory for Google won't change the company's plans to replace Java with its open source sibling. Above everything, Google still believes that APIs can not be copyrighted. The overall effect to developers is that they will be writing apps on a simplified code. And while Google might say that the switch is being made to support open source code, that obviously isn't the reason for the switch. The company's intentions appear in a code commit dated in November. 8902 files were changed and it showed that OpenJDK code was added to Android. As far as Android users are concerned, there should be no changes in how the platform performs. why not start an in house language? like apple's swift and use it parallel with openjdk untill devs are used to it then change completely? That would be stupid. Especially since OpenJDK uses the exact same APIs. Not to mention if you use a new language, then your existing apps would not be compatible with the existing runtime. You would then have to change the runtime to accommodate the new language. You see Apple went with Swift because Apple wants to bridge the development gap between iOS Developers and OS/X developers as well. Not to mention Swift even has runtime similar to Android. Swift is bringing an agnostic platform to Apple, whereas Android is already agnostic. Apples existing iOS apps and store is NOT agnostic and currently relys on Apples specific hardware..
Wonder if this is another way to increase sales (?) as hardware and data speeds (especially with carrier caps) have kind of been maxed out. Google should just ditch java altogether. Java is what helped make Android an agnostic platform. Now everyone is trying to be like Android. Look at Apple with their Swift, and Microsoft with their Universal apps. When Google choose java. This meant that Android and its ecosystem of apps were not going to be tied or locked down to any hardware. Look at Apples apps are currently locked down to its hardware. using any codebase doesn't force an OS to be dedicated to any one hardware. All the Android OEM's use ARM, which is just one hardware platform. Everyone I know in coding has tried your argument and it has no basis whatsoever. Its computer code. As long as the code is compatible with the hardware underneath, it doesn't have to be tied to any one platform. What are you going on about. Android uses a VM (virtual machine). The VM is the thing that is tied to the specific hardware architecture. BTW not all OEMs use Arm processors, and not to all Arm processors are compatible with each other. However java takes you away from the hardware level. Why do you think Apple came out with Swift, and Microsoft came out with Universal apps. They both saw how Android and its ecosystem were not tied to any specific hardware architecture. This is one of the factors that helped Android and its OEMs grow. c'mon man, the only thing that makes android non hardware dependent is the VM(DVM) which by the way Dart has too. So instead of continuation of java usage as the main language they should just find a way to make DVM and Dart VM backward compatible so that devs start to code in either of the languages I believe after 2-3 years they can be ready to ditch java. Wrong. Androids ecosystem is also non hardware dependent. That's not to say that every app is agnostic, but the vast majority of Androids apps are not dependent on any specific hardware architecture. As far as supporting another language. That could be done. Someone could add another runtime to the existing VM. Hey why don't you add that yourself. Since everyone has access to the source code, then you could add that feature yourself. So get on with the update. Larry Ellison is a spazzz just like Jobs. His hate for Microsoft and Google is just mind-boggling. When Sun Microsystems owned Java, they "gave" the code to Google. Google doesn't charge for its usage based on the agreement that Google can't make money off the use of Java. But that doesn't mean Google can't sell you hardware that uses it as is with any other OEM. The problem is Google makes lots of money by using the platofmr as a way to make money from ads as it always has. Oracle thinks they should get soem o fthat money and they simply shouldnt. Oracle did not provide Java to Google. Sun did. You dont get to change the rules because you bought out the company. This is why Google should move Android to either x86 or Objective C or someother language that allows direct hardware access and stop using this piss-poor gutless piece of s%^t Java Virtual Machine boloney. Larry Ellison needs to die a horrible death. Hey Techie, how long do you think it takes for Google to ditch Java altogether and move to a better language? Whats the possibility in your opinion? There is no better programming language. Like all things in this world there is always Pro and Con. Java is important for hardware abstraction. I love the conversation happening to this article.